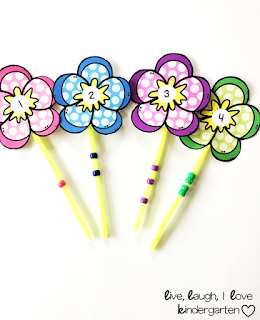 Spring is here and I have a fun spring themed math center for you! 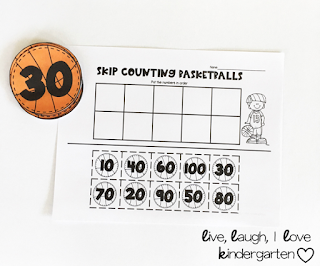 This center has your kiddos identifying numbers, one to one correspondence, and counting! 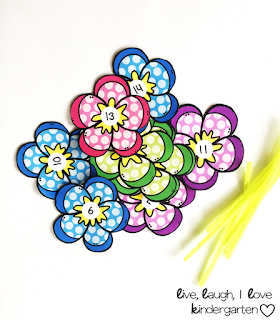 I took pipe cleaners and beads, then added a cute flower number on the top! 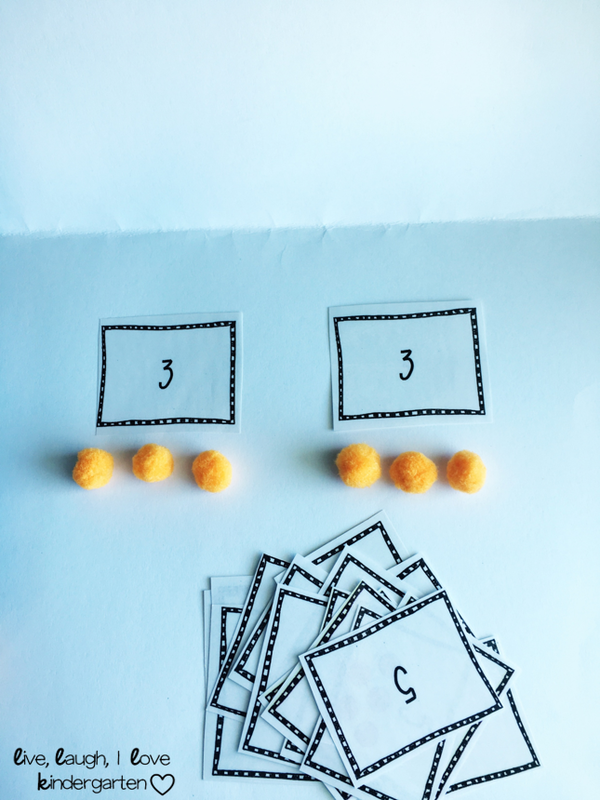 Your kiddos will identify the number that add that many beads to the "stem"! 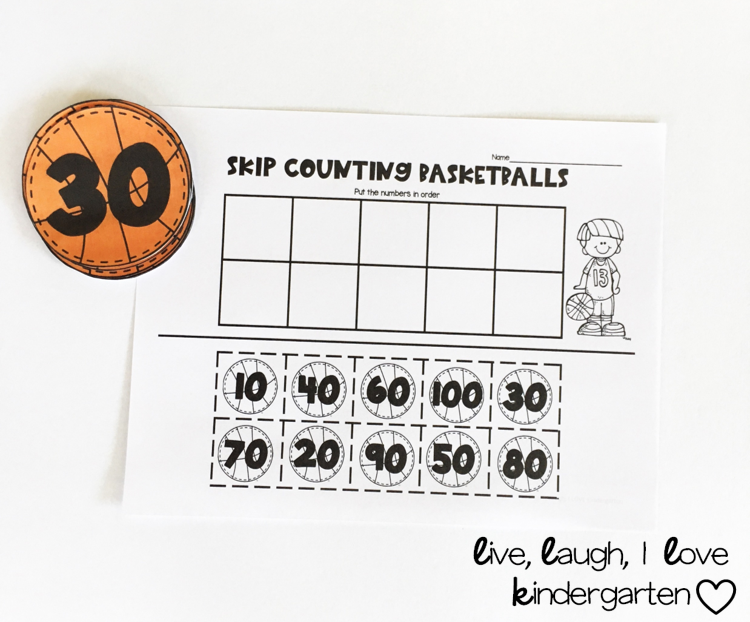 This activity includes numbers 1-20. 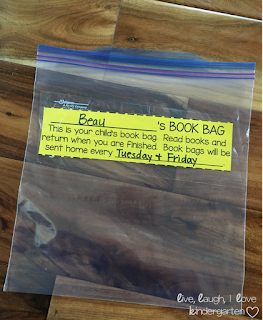 I have tried many different ways to get books home with kids and I wanted to share with you some of the ways that have worked for me. In the beginning of my teaching career, I required it-yes. I would send home book bags and I ultimately never got those book bags back. My kiddos were not taking ownership of their book bags and I lost A LOT of books. Fast forward to the past few years. I decided to make it optional. 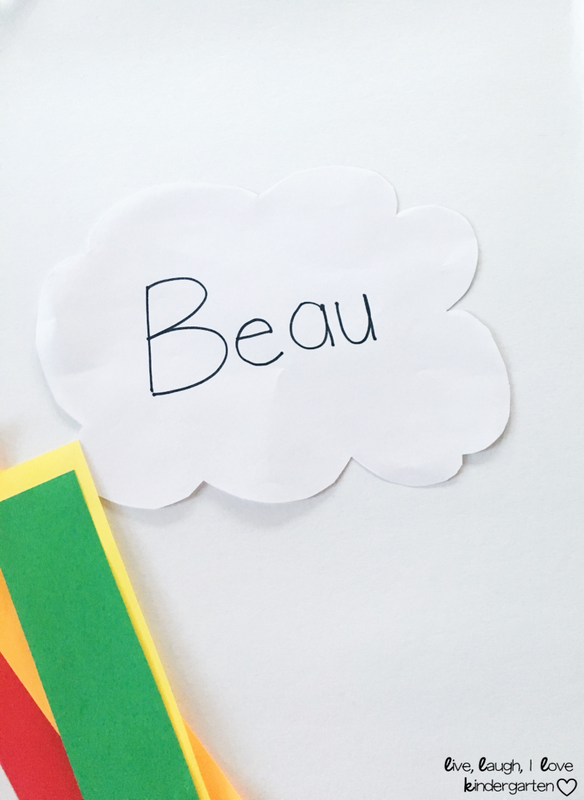 If my kiddos wanted to bring books home, they would have to decide with their parents. I sent home a note asking if they were interested in a book bag. This gave my kiddos ownership and responsibility to get their note signed saying they wanted books at home. Once I had that note, they could choose the books that they would like to bring home. I limited it to to 2-3 books and I only switched out the books 1-2 times a week. I learned fast that they would want them switched out every day if I allowed it, but it became too much every day to have them switch out their books. Now, onto the books! I trusted them that they would return every book they took out. With that being said, I let them pick any book. I wanted them to be able to read the books to their parents and in kindergarten those books usually were our guided reading books. Having them feel confident in their skills required those books. I used school books and books that I purchased. 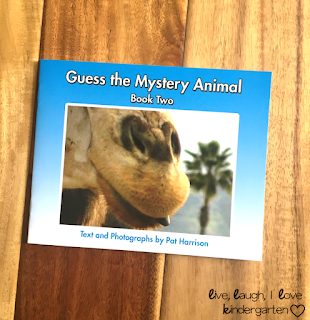 I recently was sent a book from Blueberry Hill Books and they offer great leveled reading books for your class. 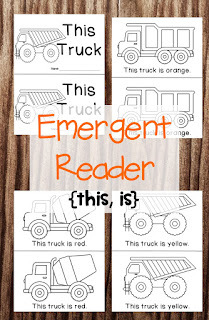 Another great type of book to send home are the books you can print off- like these. I like these because if they don't bring them back it isn't a big deal. 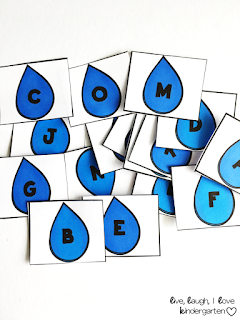 You could even start by sending home a printed book and if they bring it back they get to choose leveled readers to bring home next! There are so many different ways to hold their books. 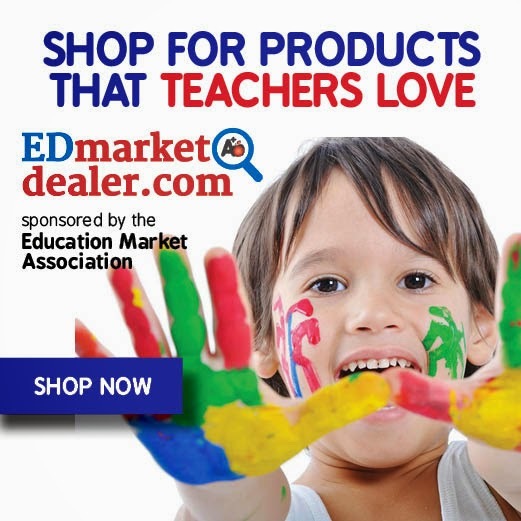 You can find book bags online, but that can get expensive. I take a gallon sized ziploc and tape the instructions to the front. I write their name on the bag and they go and choose which books they want. I have seen teachers use fun duct tape to tape around the edges so the bag doesn't break as easily. The great thing is that if it does break you haven't spent a lot of money on a box of baggies. 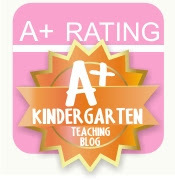 You could even add this to your class donation list and get it donated by a classroom parent! 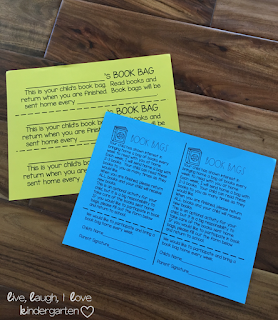 Do you send book bags home with your students? 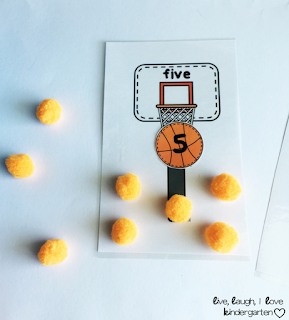 There seems to be a running theme on here lately...basketball! It is that time of year where the teams have been knocked out and there are only a couple games before the big championship game! Whether you are a basketball fan or not, these centers will be a great addition to your math centers. The first one is a number matching center. 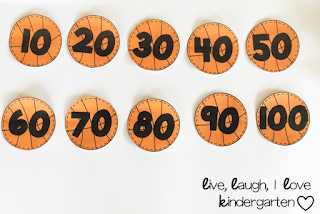 Your kiddos match the number word with the number. 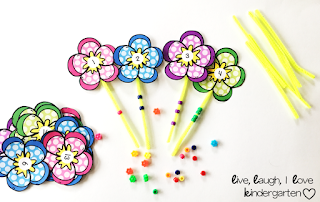 I added pom poms to practice one to one correspondence too! The next one I used number cards. 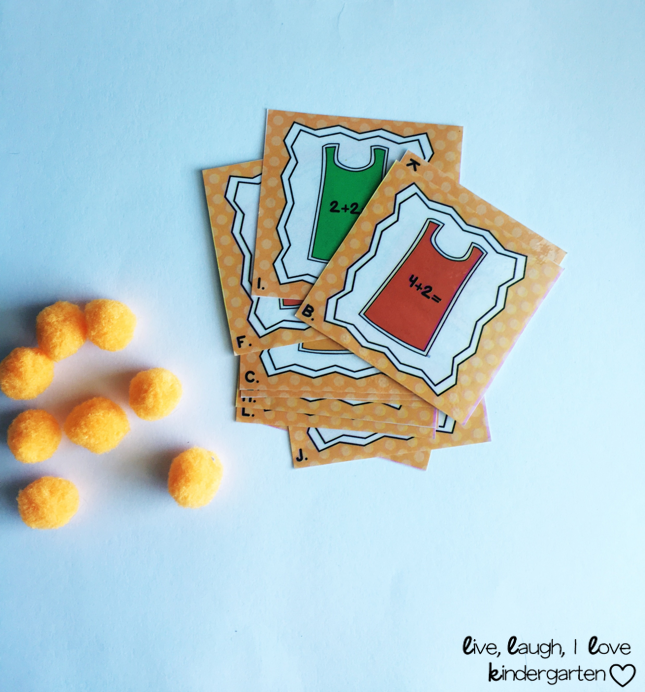 Your kiddos pick two cards and add them together. 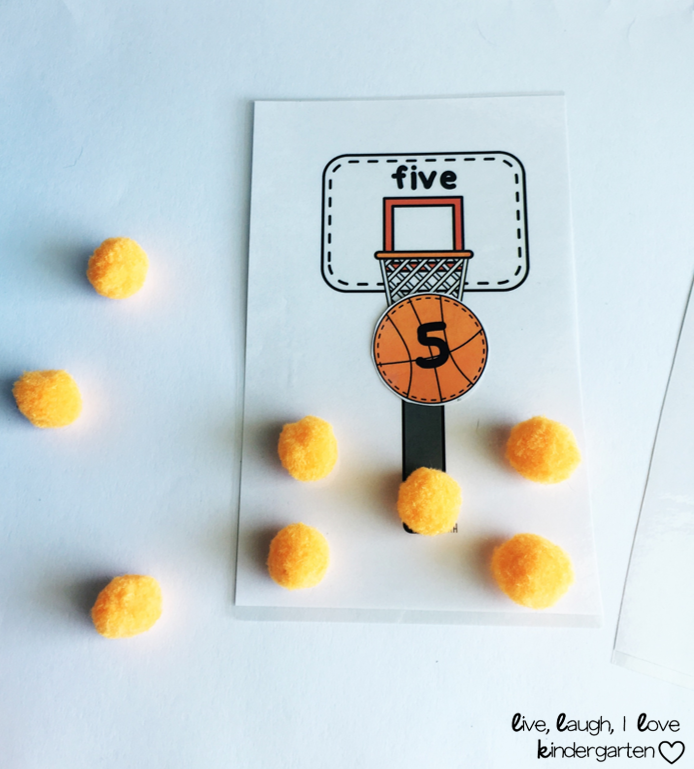 They can use the "basketballs" to help them solve. 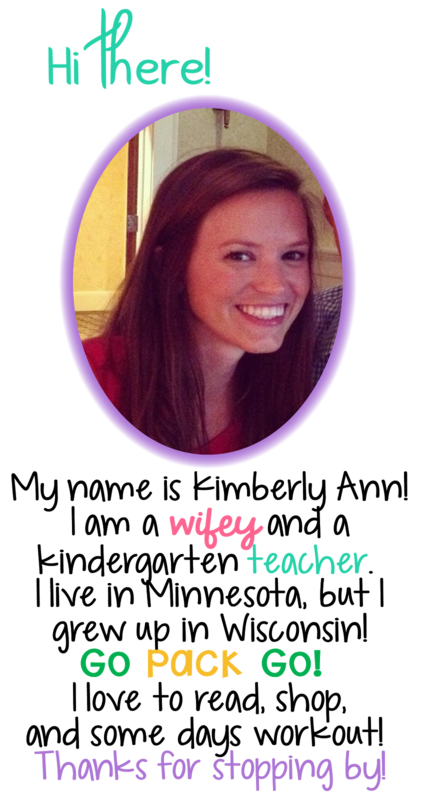 Add a dry erase board or recording sheet to record their equations and answers. 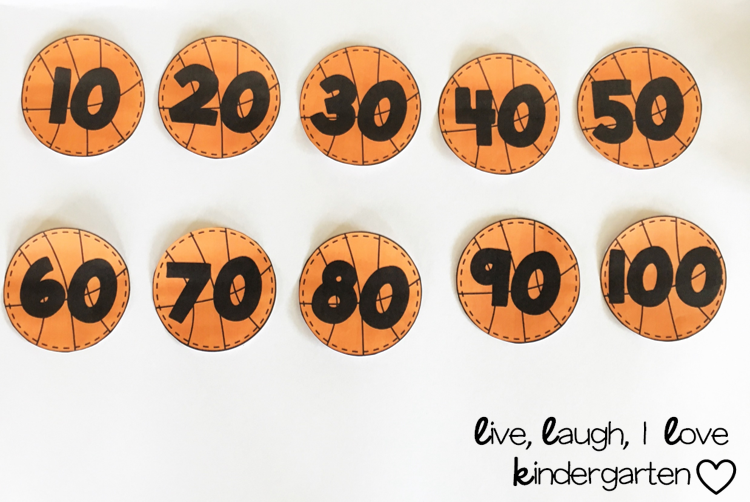 I also included number cards with matching number of basketballs. 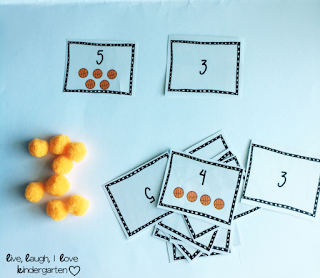 This is a great way for your kiddos to practice adding on. 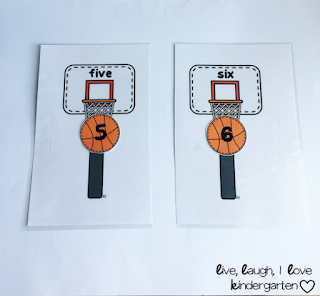 Your kiddos pick a basketball number card and a plain number card then add them together. Finally, I have a fun add the room. 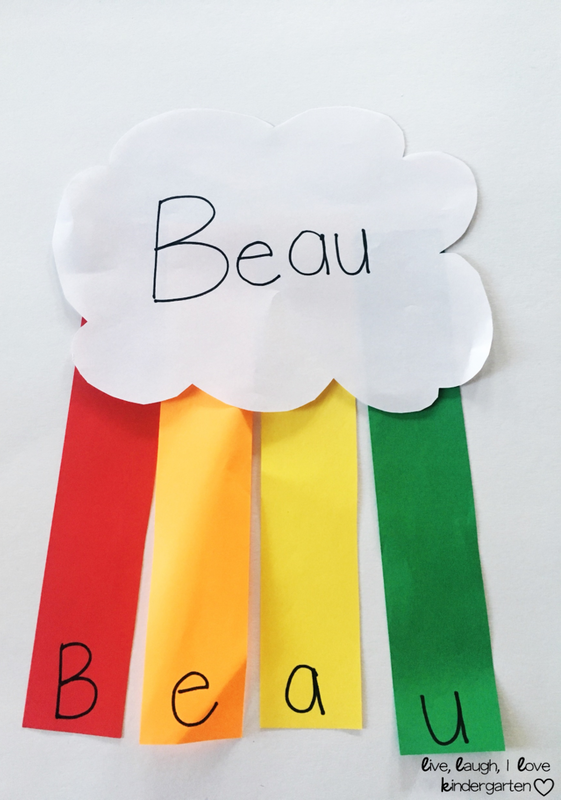 You can put this in a center or hang them around the room. 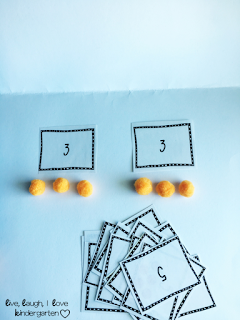 Your kiddos solve the addition problems. 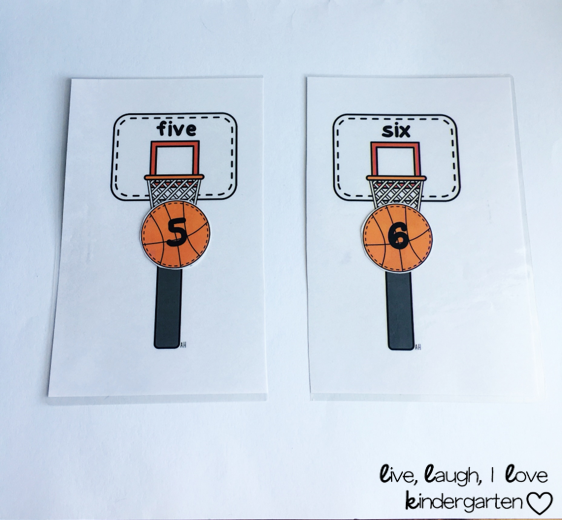 If you're interested in these and more centers, click HERE! It is that time of year when some of us watch the madness of March! 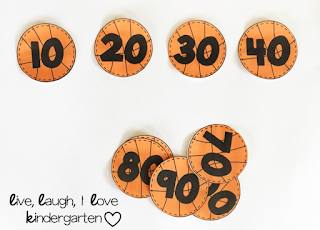 I have a fun basketball themed math center for you! 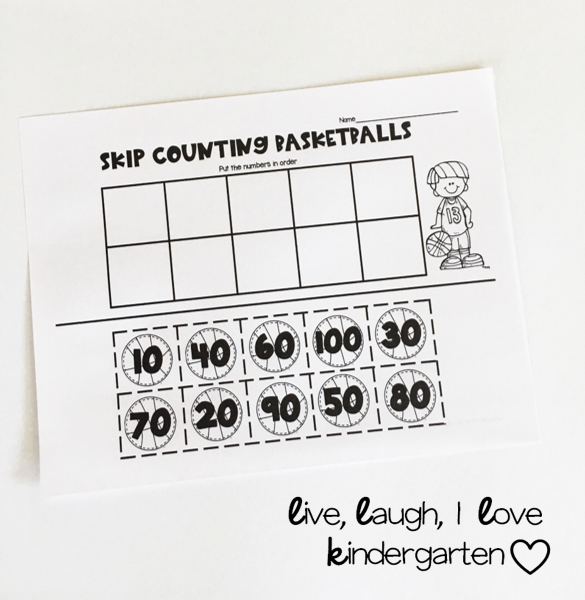 Students will put the basketballs in order by counting by 10's! 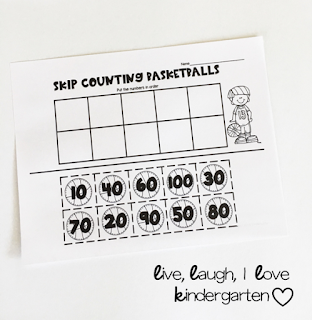 When they are finished, they can complete the skip counting cut and glue worksheet. Click HERE, if you want to grab this for you class! 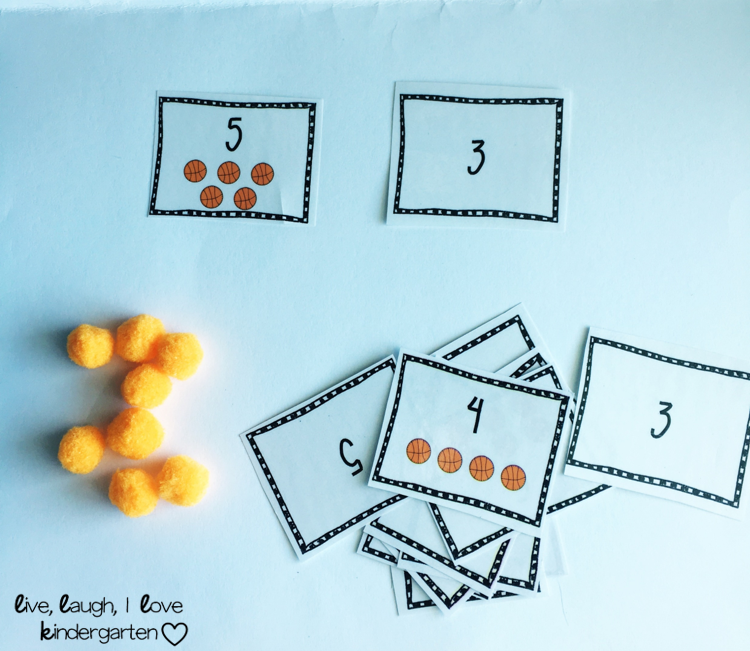 Sorting is a fun activity to do and a great skill to have when in preschool and kindergarten. 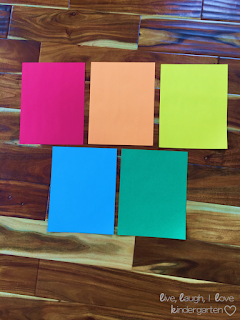 A good place to start when beginning to sort is with colors. 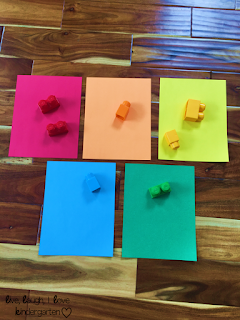 Colors are everywhere and most likely you have colored objects around your class or house. 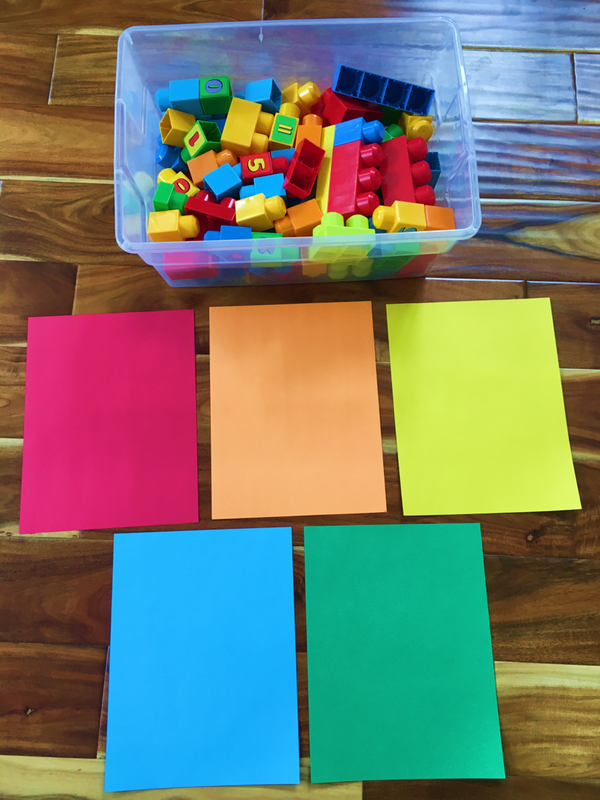 A fun activity that I found all over Pinterest was a object color sort using objects around your house/classroom! 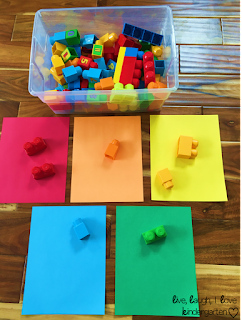 We used our big lego blocks to sort by color. 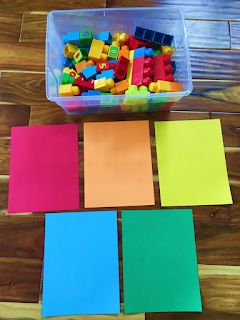 I laid out colored construction paper and we put the blocks on each paper to match the color. We are totally into hiding things and finding them, so you could also "hide" the blocks and have your kiddos find the blocks. 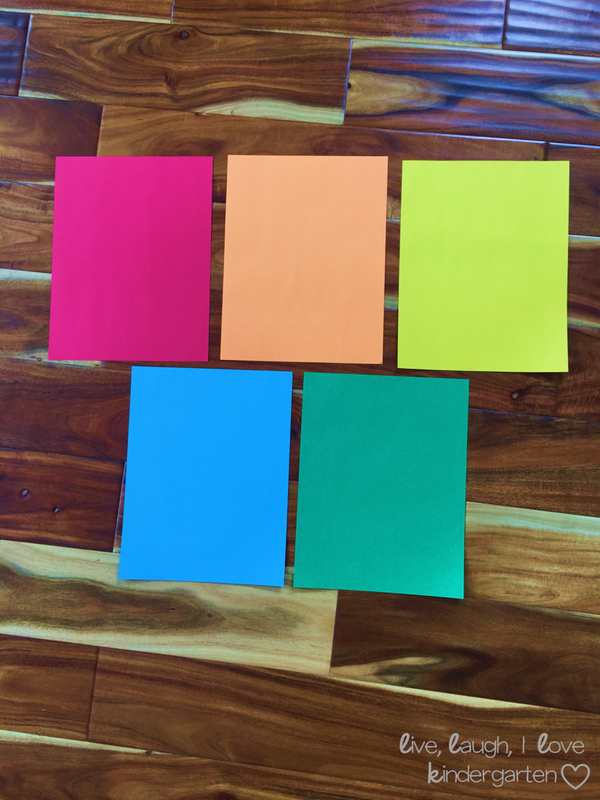 I also have created a fun color sorting center that you can use. 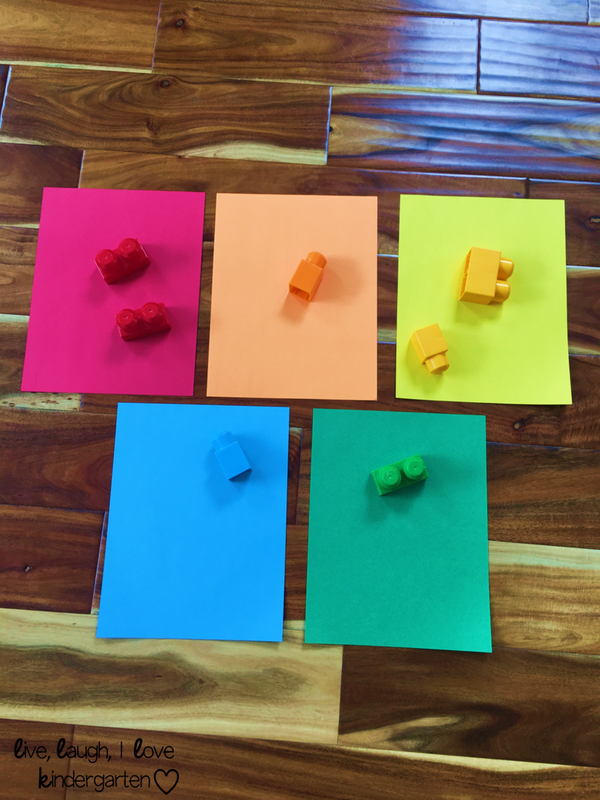 It is laid out the same way, but I have included colored object cards to sort. 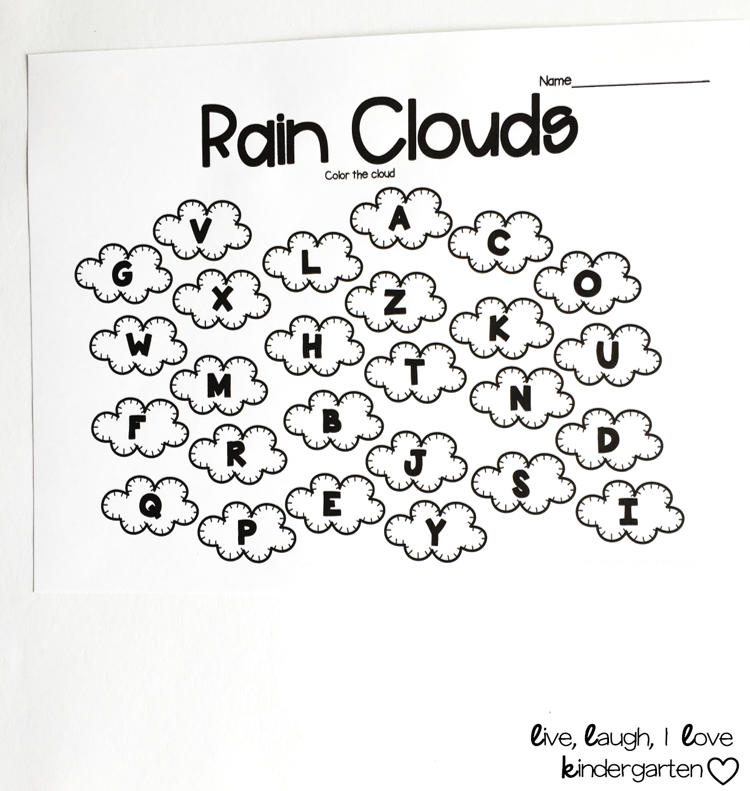 Plus, there is a color match worksheet included. 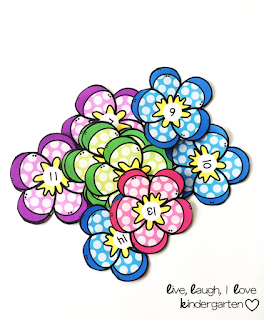 Your kiddos will color each picture the correct color. 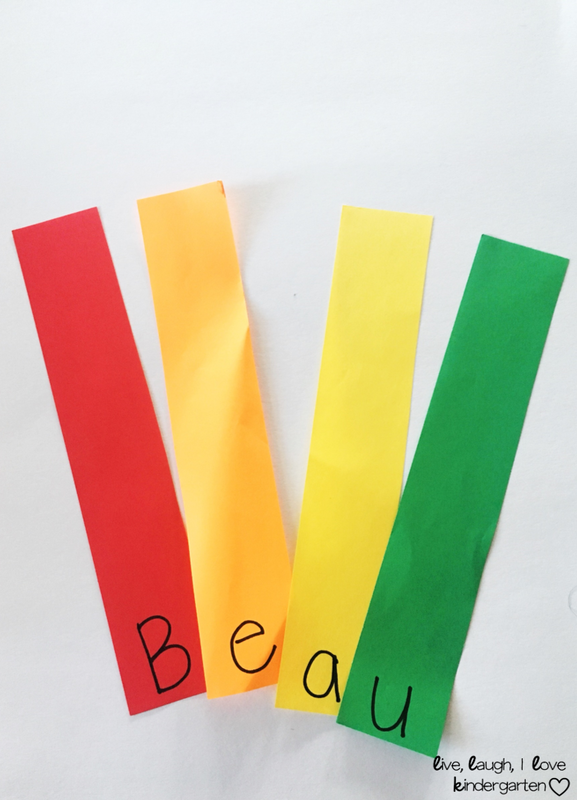 It is that time of the year where we focus on all things green and rainbows! 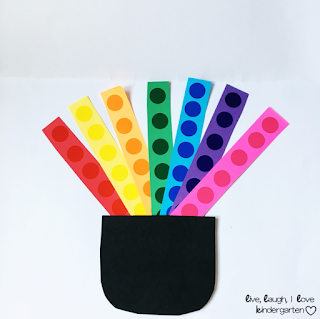 St. Patrick's Day is a fun time to do some rainbow activities with your kiddos. I have two fun activities that we have done this past week. The first one I cut out strips of colored paper. 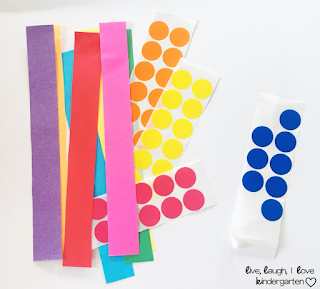 We used our colored dot stickers to stick on each strip. I cut out a black pot and we glued each strip in rainbow color order onto the pot! This is a great one to work on fine motor and color matching. The next one we did we used the strips of paper to spell our name! 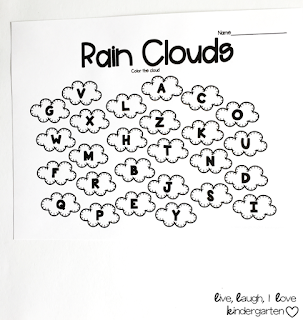 I have seen this done with sight words and thought it would be perfect to review the letters in our name. I cut out the strips and a cloud. I wrote each letter on a colored strip and the full name on the cloud. Next, we matched the letters to build our name! 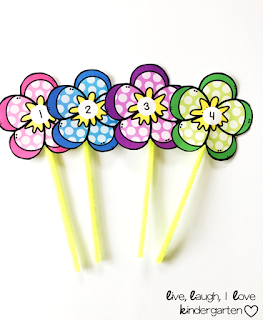 These would be cute to hang from the ceiling in your classroom for a fun spring feel!